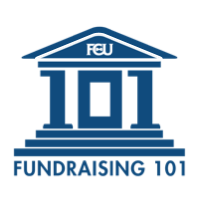 Throw statistics out of your fundraising letters! A couple weeks ago, I was grounded in Newark, NJ so I got to listen to some NJ radio. One ad for a nonprofit caught my attention and then quickly failed. I blogged about it at Does the phrase "tax deductible" kill donations? And I gave some suggestions on how the ad could've gotten me to make a donation. That post is getting a lot of traffic and great comments. But why will thousands of nonprofit fundraisers use that phrase as though it were a "deal clincher" for a gift? I think it's because it sounds logical. Unfortunately for them, logic kills fundraising success. "[statistics] can be surprisingly weak persuaders when you are trying to move people to give." Part of the reason is, as Tom puts it, "donors want to IMAGINE their gifts at work." Statistics don't let them. Especially when they're thrown kitchen-sink style at a donor. Often our fundraising letters or newsletters look like this: We shook 2031 hands and fed 62 children and fixed 423 sashes with a 97.3% accuracy rating and exactly 94.3% of your gift went directly to do that. We think it's clear that we're doing a lot of good. But donors don't have anything to compare those numbers against. And there are so many, it's difficult for them to imagine themselves making the difference. As irritating as this will be for the logical among us, studies are consistently showing that when it comes to fundraising, logic kills donations. Worse still, the evidence shows that we can't mix emotion and logic. Telling an emotional story and throwing in even one calculation or statistic can have devestating results on your fundraising. The statistics and tax deductibility are important. Just not in our fundraising appeals. Because if we're to be successful at fundraising, we need our donors to feel. I always end my coaching calls with homework for the client. So I'll end this post with homework for you. This week, review the rest of this year's fundraising letters and see about removing analytical words. Opt instead for anecdotes, one story to put to face on the stats. Any advice for those of us who have Executive Directors who live and die by stats and analytic language? Tracy, you may want to add a quantitative component to your toolbox because, ironically, many EDs will need stats to help sway them from not using stats. That's where testing comes in, so send appeals w/ and w/o. If it's a direct mail, keep as much of the rest of the letter copy the same as possible and keep all other package components identical. For an email appeal, the same goes as for the DM letter. Might even be fun to test tweets, Facebook posts and other social media. See which gets more re-tweets, shares, etc. I love the irony of needing stats to prove the need to not include stats! In the end, nothing matters more than response, despite all of our personal biases. If your job is to do what you want instead of what works, you might end up killing your fundraising due to ignorance or ego. This is very helpful information - hope that everyone pays attention. Now I'm going to review the remainder of communications for the year :). I was recently at a local 501Tech Club meeting where we were constantly reminded that we need to follow the data, not our personal bias! Good reminder to appeal to a reader's emotions, but I'd caution against being so absolute about avoiding numbers always and forever. First, in the Save the Children study featured in the Heath book, the person holding five dollar bills is presented one case with no statistics and another case with phenomenally overwhelming statistics. In the latter, the problem is too large to solve. Second, direct mail donors are highly responsive to matching gift appeals, in which they are told that a gift of $X will have the impact of $2X. Donors have no trouble doing this math! John: I would guess if the appeal went into the Heath book, it was far more sophisticated than a simple fundraising letter generated by most nonprofits. So it needs to be taken with a grain of salt. And matching gifts are different, in my mind, than "97% of your gift helps 65% of kids without cats 87% of the time." I guess it comes down to testing. Which we should all be doing on a regular basis! Tom Ahern don't know crap! Marc - love this article. Help me out with my ED, though. When you say, "studies show..." - do you have references for those studies? Definitely. Check the work of Jeff Brook and Tom Ahern. Their books and speeches reference the studies, including their own.